Published on November 9, 2017 in Allenatori, Calcio, Generale, Giovani and Stress. 0 Comments Tags: bambini, disabilità intellettiva, genitori. International Journal of Sport Psychology first special issue totally devoted to the persons with intellectual disabilities. Published on January 12, 2017 in Allenatori, Calcio, Corsa, Generale, Giovani, Libri, Stress and Young and Football. 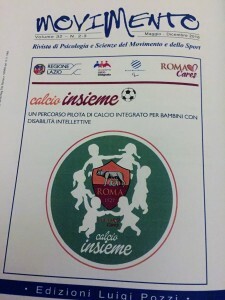 0 Comments Tags: AS Roma, autismo, bambini, Cei, disabilità, Franceschi, integrazione, movimento, Roma Cares, Rosci, Ruscello, scuola calcio, Sepio. Published on November 21, 2016 in Allenatori, Calcio, Generale, Giovani and Stress. 0 Comments Tags: bambini, disabilità, genitori, movimento. The next issue of the Italian Journal in Sport and exercise Psychology will be devoted to the experience and field research of integrated soccer conducted with 30 boys and girls (6-12 years old). More information write at this blog. Published on June 30, 2016 in Giovani and Stress. 0 Comments Tags: bambini, genitori, obesità, sovrappeso. 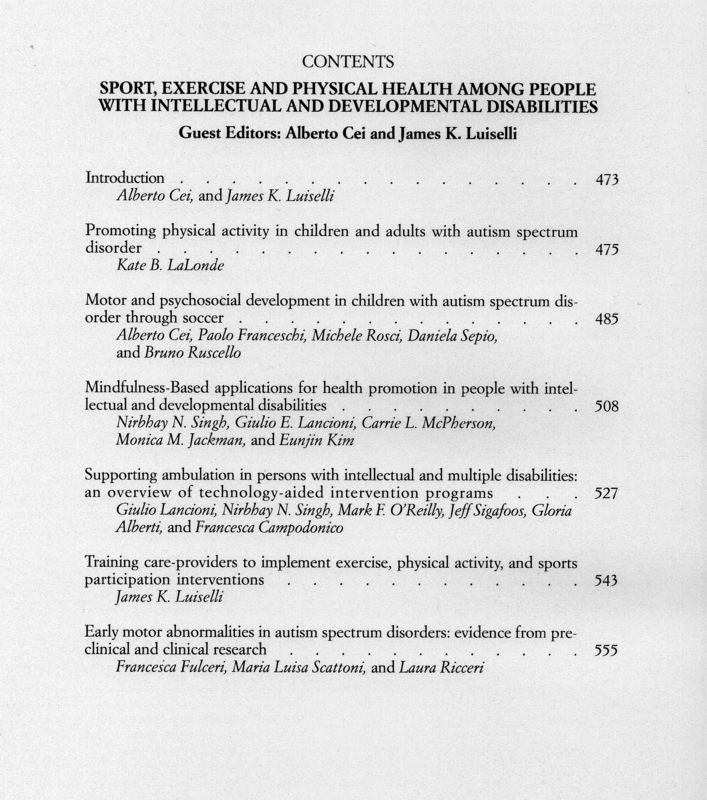 The weight condition of the child’s is correlated with that of the parents. In fact, when at least one parent is overweight 22.2% of the children is overweight and 5.6% obese. When at least one parent is obese, 30.7% of children are overweight and 13.3% obese. These data regards Modena, city in the Central Italy, other Regions showed worst results. Published on March 31, 2016 in Giovani. 0 Comments Tags: adulti, bambini, educazione, fail, figli, genitori, small. 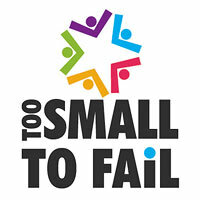 Read Too Small to Fail very useful for parents and adults. Published on March 14, 2016 in Allenatori, Generale, Giovani and Stress. 0 Comments Tags: bambini, Betlemme, educazione, Global Teacher Prize, Hanan Al Hroub, insegnante, insegnare, Palestina, Scuola, valori, violenza. Published on November 10, 2015 in Allenatori, Calcio, Generale, Giovani and Young and Football. 0 Comments Tags: bambine, bambini, dirigenti, elite, FIGC, genitori, Scuola. The psychologist will be an optional choice of the Football school, it’s no more mandatory to have in the club staff the psychologist. The clinical psychologist organize, very often in the Football school, improbable meetings with parents, however, such activity has nothing to do with sport psychology. So what she does and what she offer the sport psychologist in a Football school to really become an élite tool? Through my experience in youth football I can define some basic guidelines, characterizing a project of sport psychology in Football school: the adequacy of the method adapted to the age of young athletes, the social surrounding and the organizational environment; the use of specific psychological tools; the continuity of the times, the constant monitoring and validation; planning specific psychological objectives, also across the other areas (technical, tactical, motor skills), the design of practical interventions allowing the achievement of shared goals. These are just some of the many practical suggestions that the sport psychologist may propose in a Football school. Finally I would like to remind both psychologists and Football school collaborators that it’s not possible any collaboration without a fundamental activity: stay in the pitch. One day, after listening to my experience, a manager of Football school asked me amazed: but then the psychologist stay in the pitch? Sports psychologist has to stay in the pitch and there is no sport professional that it does not touch the green rectangle and this is even more true when we talk about children and football. The activities that can be performed are varied and can, if well organized, have a strong impact on the Football school performances. If you are a sport psychologists or a Football School professional, contact me if you want to learn more.